Tests of methane monitors taken from the scene of the worst U.S. coal mining disaster in decades show the safety devices had not been tampered with prior to the explosion, the head of West Virginia's mine safety program said Monday. 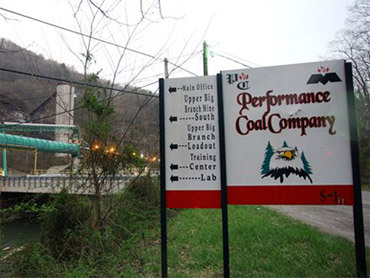 The monitors were taken from a longwall mining machine near the site of an April 5 explosion at Massey Energy's Upper Big Branch mine. The blast killed 29 miners and injured two. Methane monitors are designed to shut down mining machines when they encounter explosive levels of gas. State and federal investigators sought the tests following claims by former Massey employees that monitors were routinely electronically "bridged" so machines would keep running. Officials with Virginia-based Massey have repeatedly denied the allegations. State Office of Miners' Health Safety and Training chief Ron Wooten said tests conducted over the weekend showed the monitors "had not been tampered with electronically." The tests were conducted at a federal Mine Safety and Health Administration facility. Wooten said the tests, however, did not disprove allegations that bags were often put over the monitors' sensors to alter their readings. Massey spokesman Jeff Gillenwater said he was concerned that investigators and safety officials are now floating the bag theory. If the Mine Safety and Health Administration had found any evidence that bags were covering the sensors, it would have noted that and cited Massey, he said. "There is no evidence that such things have ever occurred," Gillenwater said. MSHA spokeswoman Amy Louviere said the agency would not discuss the tests until officials had a chance to brief the victims' families Tuesday evening. Last week, Massey briefed the families on the company's findings. Company officials discussed the monitors and denied they had been disabled. The company also shared information about what it says was a sudden surge in methane levels in the mine. Massey has said it believes the methane may have come from a crack in the mine's floor near the site of the explosion. Investigators say it may be next year before an official cause of the disaster is known.